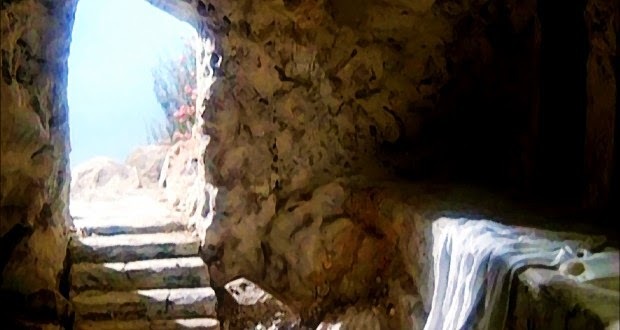 Note: Sunday before last in my sermon on the resurrection of Christ from Luke 24:1-11, we pondered the significance of the fact that women disciples were the first to visit the empty tomb and the first to announce the resurrection to the other disciples. Maybe the most astounding lines in this passage are found in v. 11: “And their words seemed as idle tales [that is, to the apostles, see v. 10], and they believed them not.” The word for “idle tales” here is leros, meaning nonsense or empty talk. This is another one of those places where we have to apply the criterion of embarrassment. If this were not true why would Luke have kept such a seemingly embarrassing detail within the narrative? But these eyewitnesses were women! As almost every scholar notes, in that society women were not trusted to give evidence. They were thought to be more emotional than men, and especially in religious matters apt to be credulous, too easily swayed by emotion (p. 105). Bauckham goes on to cite a man named Celsus who was a second century pagan philosopher who despised Christianity and dismissed the testimony of Mary Magdalene, in particular, calling her a “hysterical female” (Ibid). Luke candidly admits that at first even the male disciples did not believe these women’s report. Not only were women unreliable; it was unsuitable that women should be the first recipients of what was, in effect, a divine revelation. If Jesus had risen from death, the men ought to have been the first to know (Ibid., p. 106). 1 Corinthians 1:27 But God hath chosen the foolish things of the world to confound the wise; and God hath chosen the weak things of the world to confound the things which are mighty; 28 And base things of the world, and things which are despised, hath God chosen, yea, and things which are not, to bring to nought things that are: 29 That no flesh should glory in his presence. And who spoke to Paul to say: “My grace is sufficient for thee: for my strength is made perfect in weakness” (2 Cor 12:9). God sovereignly chose those weak women to discover the empty tomb in order to make his praise all the more glorious. The PA (John 7:53--8:11): A "Floating Tradition"? Where does the name "Jehovah" come from?